“Sierra Leone is a country that holds much promise. It has been tested over the years, but at every given occasion has shown itself capable of facing down its challenges.” These are the words of John Sisay, President of Sierra Leone’s Chamber of Mines. As short as it is, the quote summarises eloquently the resilience of this vibrant and culturally rich country, both over the past decade, since its emergence from civil war, and more recently as it has coped with the threat from ebola. As CEO of Sula Iron & Gold, I have looked on as more than just an interested observer as Sierra Leone has met head-on and pushed through the roadblocks put in front of it. By way of background, Sula, through its wholly owned Sierra Leone subsidiary Blue Horizon, holds the exploration licence to the Ferensola Project, which covers 153 sq km of savannah and hills in the north, prospective for iron, gold and coltan, an ore rich in metals used by the steel and electronics industries. Having spent many years on the ground, immersed in the local community as an employer, a proud resident and as an Honorary Paramount Chief of the Diang Chiefdom, that controls Sula’s concession area, I have witnessed first-hand the trials and tribulations. To see how the people respond to adversity, I would take you back to 2002, shortly after the civil war ended. Sierra Leone emerged with the ambition to establish itself as a stable and fruitful country. In the decade or so after the conflict, significant growth was achieved as its democratically elected government, headed by President Ernest Bai Koroma, redefined the country as an attractive and welcoming environment for international investment. The Chinese led the way, with the Ministry of Mines and Mineral Resources signing a memorandum of understanding with Kingho Energy Group for more than $6bn of inward investment. Hainan, one of the biggest agricultural investment firms in China, ploughed $1.8bn into rubber and rice. Still, it is mining that has had the most influential impact on the economy; iron ore has established Sierra Leone as a major global natural resources player. The huge mines developed by UK-listed firms African Minerals and London Mining were hailed by IMF chief Christine Lagarde as world-class in 2013. Unfortunately, no one could have predicted the challenges that were to hit last year. The iron ore price slump and ebola have had a major impact on Sierra Leone’s economy, as well as on other countries in the region, and hindered the growth that was flourishing. The outbreak was confirmed last May and since then, sadly, has killed more than 3,000 people in Sierra Leone, as well as significantly more throughout West Africa. The human cost has been enormous, but ebola has also stalled foreign investment and economic development. The World Bank estimates Guinea, Liberia and Sierra Leone will collectively lose at least $1.6bn as a result of the outbreak. Many operators in the region experienced considerable setbacks through temporary closures. This has been devastating for the artisanal mining sector, which provides a livelihood to some of the country’s poorest people, and for the agricultural sector too, because the income generated from mining is frequently invested in farming in the rainy season. At the top of the pyramid, the two success stories of the country’s mining industry – London Mining and African Mining – have faltered and failed. As Chinese investment started to slow, hitting its weakest pace since 1990, and the iron ore price slumped below the $50 mark, both companies had to close due to a lack of funding. With the spread of the virus now contained, the country has survived the worst and is starting to get back on track. This month, the special UN envoy on ebola stated that the end was within sight in Sierra Leone. New cases have been on a downward trajectory, with just 25 uncovered in March. Credit should be given to the Sierra Leonean authorities and, in particular, the President, who has really stepped up and pushed to protect his people with initiatives such as lockdowns. While the crisis has affected the country’s foreign-owned mines, it has also helped focus the spotlight on their role in Sierra Leone society. While mining companies did provide assistance during the outbreak, this served to highlight their lack of previous community involvement. Chamber of Mines President Mr Sisay reckons ebola has crystallised the government’s thinking insofar as it relates to the industry. He believes the authorities now realise the importance of maintaining the connection between companies exploiting Sierra Leone’s natural bounty and the local communities they operate in. It is something that we at Sula feel very strongly about; knowing that, although we have provided significant help to our friends and neighbours, others have not felt the need before now. Prior to the outbreak, we built two infirmaries in the towns of Kondembaia and Yara. We also constructed roads linking all the towns and villages in the Diang Chiefdom, which helped with the transportation of sick and injured people, as well as opening up trade between regions. We have built bridges and several water wells in the area, including a 5,000-gallon dam in the town of Dalakuru, which provides clean drinking water to the townspeople. Previously, in the dry season, the only source of water was from abandoned mine sites. This contaminated water caused the deaths of the very young and old, as well as harming lactating mothers. We see all these initiatives as an investment – a legacy. So, as the recovery programme begins in Sierra Leone, be in no doubt that this sort of local interaction and help will be demanded from all, not just a handful of foreign companies. Last December, Sula declared a high-grade oxidised resource of 55.5 million tonnes at 45.39 percent iron and a total resource of 514.5 million tonnes at 31.8 percent iron on its on its Ferensola iron ore project. In addition to the above, our consultants SRK identified an exploration target comprising an additional 100-250 million tonnes. That’s not bad for a small (though, I would maintain, supremely flexible) company, working with limited financial resources. However, we are also looking at ensuring Sula is not a one-trick pony. So, further gold exploration programmes are currently being finalised at existing targets. Meanwhile, we’ve recently commenced exploration for coltan in two areas of interest in the northern and southern ends of the licence area. Coltan (short for columbite-tantalite) is a dull black ore, principally made up of niobium and tantalum. Niobium is used as an alloy in super-steel products and 70 percent of tantalum is used in capacitors in electronic products. Whisper it: there are signs of life in the iron ore mining sector. Notably, Chinese company Shandong Iron and Steel has acquired the project located next door to our Ferensola property. 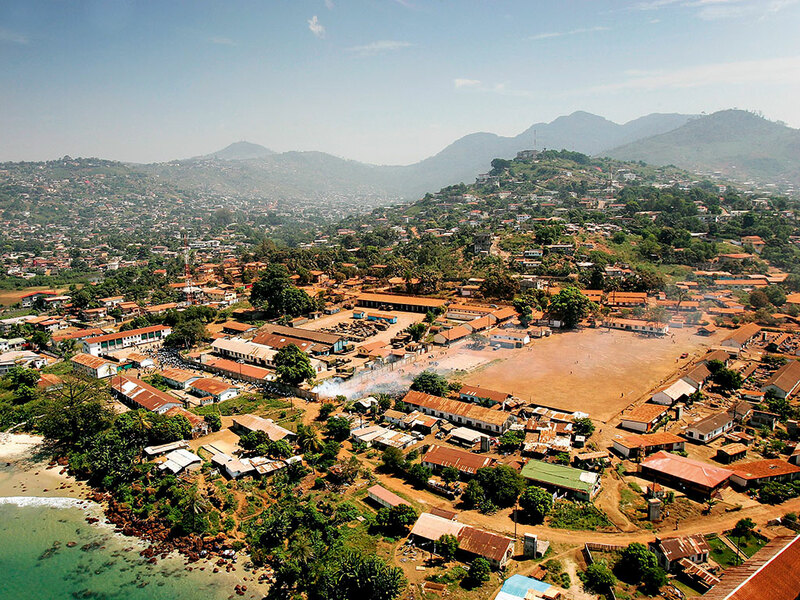 Although still emerging from a difficult period, with wounds only just starting to heal, Sierra Leone is providing the building blocks for future positive opportunities. The government and the people of this wonderful country have stayed hopeful in the face of adversity and found solutions to seemingly insurmountable problems. We at Sula are proud to have helped in some small way in that regard.